Sign up free and get 25 free message credits and text to join keyword. Call Loop Reviews Recently Reviewed! Pros: They have really cool voice broadcast that even lets you transfer the sms to a live call by texting back a number. This is awesome for pay per call campaigns and event have a client how uses it for support requests. Cons: umm I can't think of any cons at the moment. Thier support and service is awesome. The product is never down. And best of all, they are adding new integrations and product up dates all the time. Thanks Chris for making such an awesome product. Overall: I signed up to the free Call Loop SMS marketing trial a year ago I was so happy with the service I stayed on. The suite of tools Call Loop provides is pretty insane. I have used alot of SMS platforms and I will say thier is the best around, from ease of use and functionality. I have clients who use all different types of marketing tools and Call Loop seems to work with just about everything. They have a Zapier integration and it connects to a bajillion apps, so that's one of the main reasons I chose the service. It also works with marketing platforms Instapage, ClickFunnels, Lead Pages, Unbounce and a lot people are using those now. I have never really had an issue with the service but I found whenever had a question support was top notch and answered me right away. I can even get the owner Chris on the phone and talk about campaign ideas if needed. That means a lot these days when people often treat you like a number. 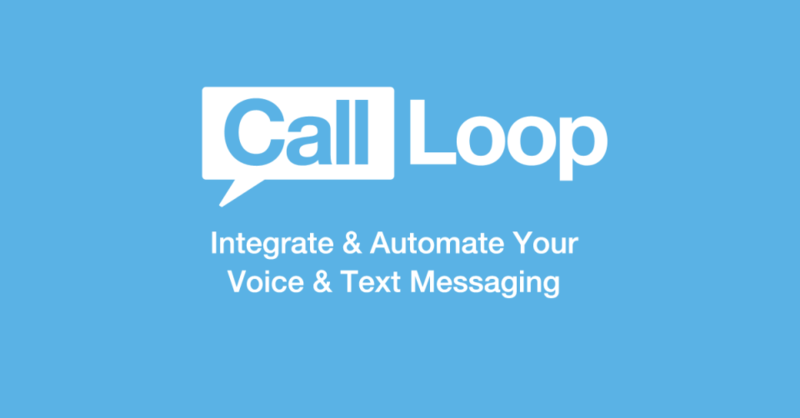 Recommendations to other buyers: If you need a solid SMS service with lots of extra features and crazy good tech support them just give Call Loop a try. Thanks for the review. I noticed you had customer support at 4 stars, but you mentioned that "Their support and service is awesome". Do you think a 5 star would be a better choice? Pros: Call Loop is relatively easy to use. Set up sms reminders and voice calls. I've used it to increase attendance at webinars substantially. One client is using it to get more engagement from members by sending reminders for scheduled calls and follow ups. Cons: I would like a little more flexibility to push data from Infusionsoft to Call Loop. Other than that, I'm very happy with Call Loop and recommend it regularly. Overall: Improvements in engagement from prospects and clients. An easy to use tool for lead generation. When using it to increase attendance to webinars, we experienced as much as 90%+ buy in on adding a cell phone number to the webinar registration form. This provides for another great option for promoting via SMS. I've used other SMS tools for leag gen by phone. They were fixed at a single entry with no ability to follow up for name and other details. 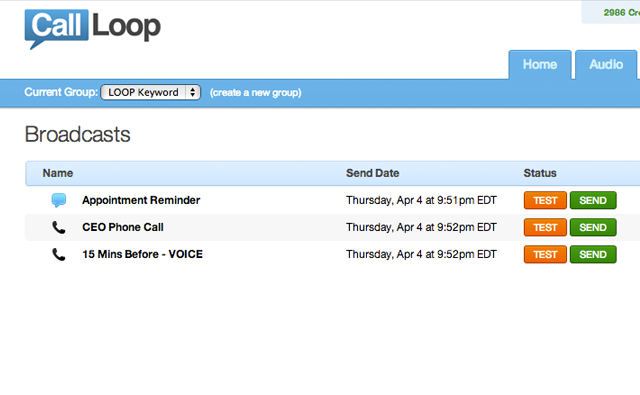 Call Loop's feature provides for multiple replies to collect additional information. I probably haven't mentioned that Call Loop's integration with Infusionsoft is pretty well done, making it easy to send messages and collect information. Pros: This software is very convenient. I like the integration flexibility most. It can get connected to different platforms and easy to use. We dont need any super technical knowledge. I integrated this software with HubSpot and Infusionosft and right now our email campaigns are automatically triggered so as SMS service through Call Loop. Cons: It doesn't support Spanish accent and that's what we don't like. Because most of our cusotmer base are latinos. Overall: Overall experience is good. Customer support is responsible and reliant. I can count on them to support me and provide me solution to my problems. Pros: Integrations, automation and ease of use. Cons: Not sure because we haven't had any hiccups in service. Overall: I started using Call Loop a number of years ago to be able to utilize SMS in our marketing, mostly for being able to reach our customer base at the best marketing level - text. The suite of tools has grown since the time I started and it keeps growing. I really like the transparency of the team and their ability to treat every customer like their best customer. I have tried a couple others, just to see if there was something I was missing. I came to find that the other products were probably not actively developing their platforms. They have features that work, but aren't forward thinking like Call Loop. Call Loop is cutting edge when it comes to development and I assume will stay that way for a while to come. Support was my favorite part about it, a lot of SMS marketing can be difficult if you haven't used it previously, getting questions answered fast was a must with what we were doing at first and they made that process of fixing our issues a top concern. I'm assuming that is the case with everyone that is on the platform. The real bonus of the platform is their integrations, other services just aren't there when it comes to that. The added bonus of integrating with Click Funnels was the kicker for us. Cons: Sometimes I would like an advanced feature like sending longer texts. I would like better contact management and I would REALLY suggest more robust views of subscribers and unsubscribes. Also I would prefer that if someone unsubscribes from the texts for example it didn't affect A) the other lists they are subscribed to and B) Unsubscribe them from voice broadcasts. Overall: A friend told me about callloop 4+ years ago....I wasnt sure...but GOOD CALL on becoming a client of theirs. GREAT customer support AND they're enthusiastic about my success like I am. As a business owner THATS tough to find. From lead follow up, to scheduling to sharing content with current students, callloop is one of the best small business operations decisions I've made in the last 20 years. Pros: Integrates with several other contact programs. Set up voice or text and let it send when you need it to. One of the customer rep is quick to respond to any questions or concerns and is regularly asking when they can do to improve. Cons: There is no reason to like this if you need to keep in contact with your clients. Texting is powerful because every one sees their texts. Pros: I've not tested a large amount of SMS softwares so my review should be taken with a grain of salt, but if you are looking for a "meat and potatoes" solution that does what you need it to reliably (i.e. sends SMS to customers) without bells and whistles, this one is for you. There is readily available access to keywords, building new groups and automating various sequences. Intregrations with 3rd party providors is good as well (zapier). Cons: SAAS providers are building some pretty streamlined and visually stunning user interfaces these days. This one feels a bit dated at times. Switching between groups, remembering what the difference is between followupss and triggers and other small things increases friction at times. Building a flow and user group could definitely be streamlined. I'd take cues from places providers like Justuno, klaviyo or manychat (all very intuitive with a low learning curve). Overall: All in all the software is a solid SMS providor with tons of potential and room for growth. Pros: It's collecting my data all day long. I don't have to do much to organize my lists at all, which is great. Cons: Exporting my data looks like the matrix. I only use it for excel so far, but maybe need to import it to a new CRM software or booking software soon. Pros: Been with Call loop for years now. I like to use it on new customers. giving them a chance to call me at their own convenience. then if they don't call I call them. Pros: I like that I can leave message with my phone number and customers that are interested call me back. Also it would be great for newbies who are afraid to call customers. Comments: Working with Call Loop is so easy! Their communication with our team makes the whole process easy! There are even ideas of how to use the service even more creatively and efficiently. I can't imagine using another service. We are definitely beyond a happy customer! Thanks Sarah! We're excited and glad that we can help! Pros: What I like most about this software is how easy it is to get new leads. Whenever we speak - whether we are on a live or virtual stage, we walk the audience through the 2 steps they need to take to receive a free gift and it's wonderful to see all of the hands go up when we ask, "How many of you already received your free gift?" It spurs excitement and has helped us to gain high-quality leads! Overall: The benefits I've received from this software are high-quality leads, a perception of professionalism in having an easy way where people can opt into our mailing list, and the high level of customer service. I really can't think about what I don't like right now. Even the few times when I've experienced a small technological glitch, the level of responsive customer service has exceeded expectations. Pros: It was relatively easy to set up and get working, help section was good when I had questions. Cons: I'd like to see a lower cost per SMS, it can get pricey if messaging large groups. 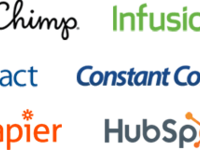 Overall: I use it for a couple of my customers, integrated with Infusionsoft -- works great and setup was pretty easy. The service has been reliable so far! Cons: A little difficult to figure out how to get it set up. I am a little tech challenged, but I eventually figured it out. Pros: It has greatly increased our prospect self-identification at conferences. It is easy to use and cost-effective! Cons: I would like to see the ability to make our automated text conversations more interactive. Overall: We use Call Loop when making presentations at conferences. If attendees want our slides and notes or other tools we reference, they can text a code to get them - while they are still in the meeting room! We've seen a giant uptick in requests for information from conferences using Call Loop. Also, when integrated with Infusionsoft, we can automatically plug participants into follow-up email campaigns without anyone on our team making a single keystroke! Awesome! We're so happy to hear that Call Loop is helping out. Easy to use, gets the job done. Pros: The pricing is with my budget and the straight forwar cost pert text. It easy to set up the lists and send messages. Cons: The integration with mailchimp it doesn't work all the time. I use jorforms to collect data and it will be great to have that option to build my lists. Thanks Mario! We can help determine what happened with your Mailchimp integration. Someone from our team will contact you shortly. 4.) Upload the new .CSV file. 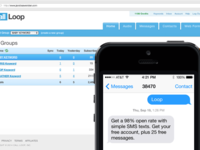 Overall: CallLoop is the only software available (that I could find anyway) that can SMS text your sales reps when they are assigned a new lead in Marketo. I looked high and low for a software that integrated with Marketo & could also send a text message to our sales reps (NOT the lead itself.) I was shocked at how hard this was to find. Call Loop took a whole 10 minutes to set up and our first response time has skyrocketed as a result of implementing SMS notifications to our sales reps. Thanks guys!!! Recommendations to other buyers: Just try it... you'll never go back! Pros: The texting section is what I use the most and it seems to be fairly easy to navigate. That helps me out with balancing my marketing avenues. Cons: I see there are other ways to broadcast. I'm not familiar with those and was hoping there were tutorials to click on. Overall: We have reached more people to frequent our store. This is a big accomplishment for our business. Great tool for event promotion! Pros: I love how easy it is to set up a text campaign. We saw a 20 % increase in our virtual hiring events when sending out a text before the event. We also found that participants were more informed. There are several ways you can use this tool and its a perfect use case for event promotion. I also recommend checking out their sister tool SalesMSg for any and all two-way texting needs. 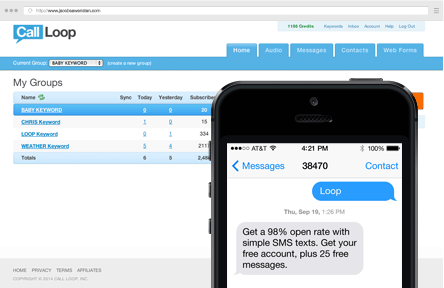 We found Salesmsg to be our engagement tool and Call loop to be our broadcast tool. Lastly, both products have incredible customer service. Cons: I cant think of any. The only wish I have is how you are limited in the number of characters, but that's also a blessing in disguise. As it forces you to have a concise CTA. Overall: This tool allows TheAthleteBook.com to keep our community informed of job opportunities and hiring events. Pros: Easy to use when it works and clean interface. Support tries to be helpful. Pricing about the same as the industry average. Cons: The system is buggy and tech support just passes the buck and will not take reasonable for anything. I documented for them their system not working and they offer me a 50% off. Surely they should fix the bug but have not. Call Loop made me look bad to my client. Hi Rick, I'm sorry to hear that, however after looking at the conversation with our support team - it seems that the issue was a user error. We do offer full refunds for problems and issues that arise when it's a Call Loop error, but in this case it wasn't. Because of the large broadcast amount, we did offer a discount on the messages to make up for the mistake made. It happens and we help as much as we can. Pros: The cost of the service makes it an easy decision. It is easy to access online. Once you are approved, you can upload your contact lists fairly easily. You can track your broadcasts with simply clicks in that campaign. Cons: It wasn't disclosed that I had to get approval to upload my own contact lists. Had to hunt and peck to find out where to create my first recording and then find where it went to review. Had an issue with the credit per contact. My recording was the max length suggested and yet it still cost me credits over what I budgeted to spend. WATCH YOUR RECORDED TIMES!!! Go well under the max time or you'll spend more credits then you think you should. If you want to know ROI, you'll need to create a way to track incoming leads/sales on your own. But for the price, it may not be worth your time. 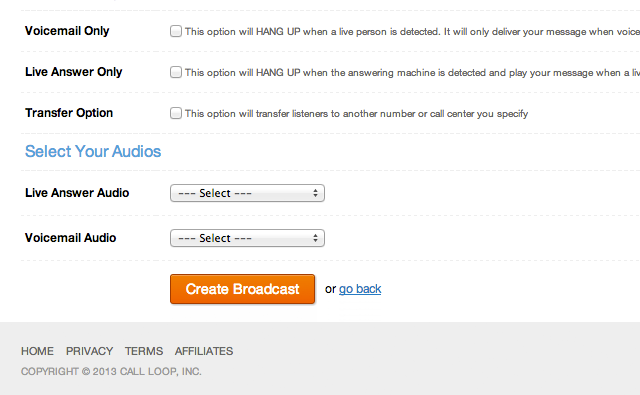 Overall: I use Call Loop for broadcasting messages about my business and promotions. It is very cost effective for quick messages. Tracking each campaign results is easy to do on the site. Once I learned my way around the site, it's easy to use. I can create a campaign within 15 minutes. I have suggested this site to other colleagues to assist them in their promotions and adverstising. Pros: Easy to use and reasonibly priced marketing tool. Cons: Nothing, I didn't have any negative experiences with Call Loop. Pros: Easy to use. The Customer service is the best I have ever encountered as a professional. I am delighted with the integrity and fast response on breakdowns for the broadcasts. Cons: What I least like is that when I go into the inbox it's just difficult to navigate. I don't like that I dont get those messages to my email or texts. That would be amazing. Overall: So far 4 new deals. That's great to hear Mike! Congrats on the 4 new deals! Pros: It's easy to send out texts and I like that our investment doesn't expire so we don't have to worry about trying to use them by a specific time. Cons: I wish there were more reporting/tracking options. So far so good! I am just starting to use the Call Loop for all it can do! 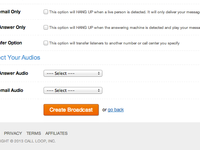 Pros: I love that Call Loop integrates with Infusionsoft seamlessly. I like that I can choose my own keyword. I love that you can create more follow up steps in the text message and that you can broadcast to the subscribers. Cons: When setting up follow up, it was a bit confusing on the integration. It feels out of order. I look for things that are a bit more intuitive and logical and it made me have to think through it to make sure I captured the right fields in infusionsoft. Not sure exactly how to fix it, maybe some added text or a different flow or something. I figured it out eventually. Just would like to see it a bit more intuitive. Overall: I converted 70% of an audience I spoke in front of to my list. It was easy. Still can't believe SMS is now THIS easy for us. Cons: Still looking for something that could be considered a con. I had a bit of an issue with integrating to a different platform but they helped me solve it very quickly so that's not a con. Stay tuned? Pros: Call loop is the perfect softwate for sending out mass texts to subscribers to offer discounts and coupons on merchandise. I only use call loop. Cons: I haves nothing negative to say about call loop software. Pros: I will literally be able to grow my business by 500% by using this service. I am in love with the seamlessness and the ability to connect with new leads in my sleep! Cons: Had a few hiccups with setting up Mailchimp but the support staff was AMAZING, very responsive, polite and helped me fix everything instantly. Callloop`s team is easily accessible and the tool is easy to work with. Pros: I love how it provides us with exactly what we need and helps us towards our goals with building up our contact lists. Cons: I wish we are able to use the tool in Canada. We had our tour go there and unfortunately was not able to use Callloop. Thanks for the 5-star review and for the insight on Canada messaging. Note taken! Pros: East of use, affordibility. Does more for less than competitors. Cons: Not sure if the voicemail bypass works for all cell phones. Best way to capture leads from the stage! Pros: the ease of setup and the consistency of the experience. Cons: would love to see some more tutorials or best practices shared with me. 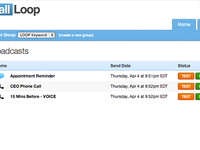 Overall: I love Call Loop. It has transformed my lead capture from the stage. Anyone that is speaking in front of audiences needs to use it! Comments: I've been using CallLoop for about 4 years now. My niche is one that is still very warm to getting a voicebroadcast because we don't abuse it and we have a good relationship with them. I can have a targeted voicebroadcast recorded and sent in just a few minutes at a great rate. And the occasionally reward their loyal customers with bonus credits. 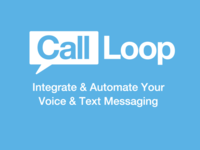 CallLoop also integrates with many CRMs including Infusionsoft so sending Voicebroadcasts (or SMS messages) in a campaign is a snap. . I give CallLoop my highest recommendation. Pros: I love to be able to send out voice broadcasts to a large number of client, it is easy to do and takes less than 5 minutes, record a message and attach it to your email list and boom it is done. Very effective! Cons: Of coarse the first time you use it, it is foreign, but after a couple of runs, you become proficient quickly. Overall: Very good, they provide a much needed service that we use and it is easy, efficient, and not expensive. Pros: Price is great. Pay as you go. Occasional sales on calls. Good person running company. Cons: Reports have been broken for at least a year. And out-source support never has any answer other than basically it's on the list. That it was fixed then broke again after an update. Other than this it's great. I am using the texting part of their software, to send texts from Mail Chimp to my customers. Pros: It was very easy to setup, and it works seamlessly. The prices are also very good. I am not using the phone portion yet. Overall: No more manual texts. Thanks for the feedback and glad to see it working great for you. Overall a great system to implement text marketing!! Simple and easy! Pros: It was so easy to use and you didn't need to be technology savvy to learn to use it. I was implementing text messages to a list we have acquired within hours of having the software! Cons: I felt there could be a better way to receive an alert if someone texted back our marketing text. This was the only thing I didn't like about this software. Hi Sean, thanks for the great feedback! Very easy to use, but still working out some bugs and limited functionality. Pros: It's very simple software that's quite easy to use. Support was very helpful in overcoming the annoying bugs the systems has. Cons: Reporting is lacking. Bugs caused us to spend a lot of time on the phone and in e-mail with support. Overall: I have enjoyed this easy to operate website. It has been very helpful to send out messages to multiple people at one time. Also, any time i needed help, some one quickly responded with a link to a video to show me how to fix my issue or simply explained it in an email. Thank you for the 10 star review Kristie! Pros: The thing I liked most about this software was that you can transfer the SMS to a live call by texting back a number. It is so easy to use and it has reminders that you can set up. In today's world it is important to have SMS messages and voice messages that you can easily disperse to clients. The cost is so little for how much you can do with this call loop software. Cons: The least thing I liked about this software was that it does not have features to change the language. Overall: Overall the customer support is reliant and they provide solutions and answered my questions when I was getting started! Pros: Great price, reliable and effective execution. Cons: It was a bit complicated to set up and understand the workflow. Cons: Not too much. It handles what I need for now. When things get a bit more complex, maybe I may find things that may need to be refined. However, for now things are working great! Overall: We get to communicate with our customers with a few clicks. It is more convenient than manually texting and even sometimes email. Pros: The customer service is awesome! I like that it allows me to do other task. Cons: User interface can be difficult. The reports don't work properly. Overall: It's a great tool to use for drip marketing. Unfortunately, the reports don't work as they should. Once that feature works properly, then this tool would be awesome! It is a great tool that I use to engage my audience and build my lists. Pros: It is fairly straight forward to use. It is powerful in interacting with audiences. The list building allows me to use the power of text marketing to reach my potential clients in a method they are most likely to read and respond. Cons: Integration can be confusing. Took several attempts at creating lists in MailChimp to have it work smoothly. Overall: Ease of list building from audience interaction. Pros: It's easy to navigate and set up campaigns. Once everything is set up, the ease of duplicating campaigns is nice! Cons: We wish it could track how many follow up messages were sent, as well as if there were any errors in the numbers we submit. You see errors in regular campaigns, but not in the follow up messages. Overall: Our marketing has improved and we have an easy way to get our prospects into a system. Pros: Simplicity combined with performance. Cons: Haven't found any yet. Maybe needs an upgraded UI to something more bootstrap but I run a software company so I notice that stuff more than most. Overall: I've always thought SMS SHOULD be easy. And with CallLoop it is. I don't have much technical background so when I ran into issues, thankfully, they were around to help. Just one of those companies you enjoy having in you arsenal.